and then I might come to be without great fault. 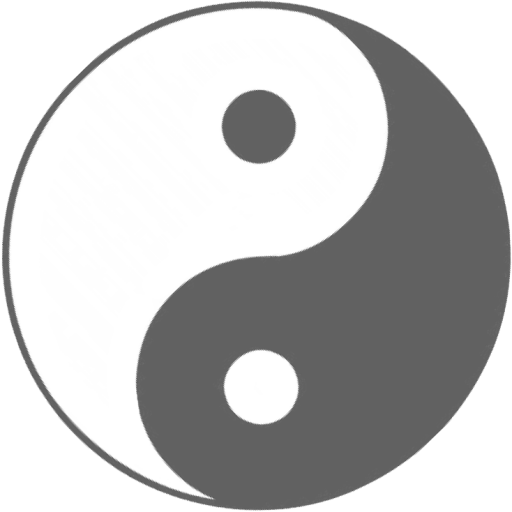 It doesn’t seem possible that an idea represented by only two states of a line, one solid (Yang) and one broken (Yin), can be used to represent such profound significance. To understand the I-Ching one must become familiar with its symbols. The I-Ching encompasses sixty-four primary symbols called gua, a hexagram composed of two trigrams. Each gua represents a unique situation. To understand the gua, one has to know its specific place and meaning in the heavenly sequence. 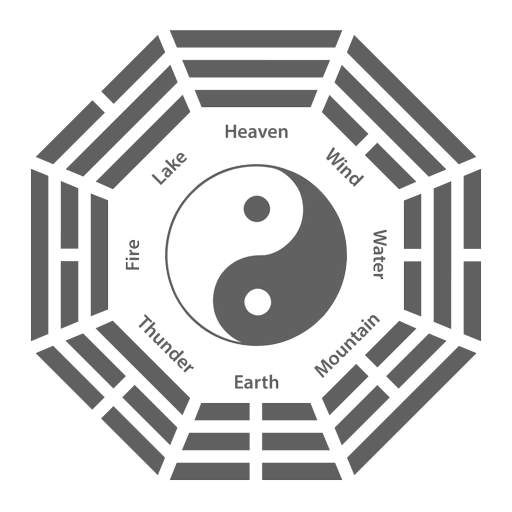 There are a total of 8 trigrams—four pairs of opposites that form the heavenly sequence surrounding the taijitu—the fundamental symbol of nature. Heaven is paired with Earth, Fire with Water, Mountain with Lake, and Wind with Thunder. Fu Xi observed how these pairs act upon each other. He arranged the trigrams in this early Heavenly Sequence with the opposites across from each other. Moving clockwise from the top, Heaven opposes Earth, Wind opposes Thunder, Water opposes Fire, and Mountain opposes Lake. There are three essential requirements for consulting the oracle. First, select your reference book. My first reference was the Westernized The I CHING or Book of Changes by Richard Wilhelm, 1950. Produced by the Bollingen Foundation, and published by the Princeton University Press. I have since added the The Complete I CHING, The Definitive Translation by the Taoist Master Alfred Huang. Published by Inner Traditions, Rochester, Vermont, 1998. In his preface, Master Huang explains the need for a text truer to the original Chinese with more emphasis on the commentaries of Confucius which are “crucial” in understanding the I-Ching. The two most familiar ways to consult the oracle are with the traditional yarrow stalks, or with the coins short-hand version. I still use the same yarrow stalks that I purchased with my book at the Living Batch Bookstore in Albuquerque, New Mexico in February, 1975. Finally, and most importantly, you must approach the I-Ching with the respect that it deserves. The core ideas relate to the human condition and how to maintain balance according to the situation. Although the I-Ching originates in China many millennia ago, the human condition is universal and these principles apply to everyone. *Rotate mobile phones to landscape mode.